RCSI Conferring Ceremony at the RCSI campus, St. Stephen’s Green, Dublin on 30 May 2018. The Royal College of Surgeons in Ireland (RCSI) recently held conferring ceremonies on 25 and 30 May 2018 both at their own premises in St. Stephen’s Green and at the Convention Centre Dublin during which a total of 341 students were awarded diplomas, bachelors, masters, doctoral and higher degrees across a broad range of specialisations including the newest area to be covered by RCSI, Physician Associate Studies. Speaking at each of the conferring ceremonies the NUI Chancellor, Dr Maurice Manning, congratulated the graduates on their success and achievements, saying that NUI, “unhesitatingly endorses the quality of the education and training you have received at RCSI, which is a valued and dynamic member institution of the University”. The Chancellor went on to say that “the presence of students from so many different parts of the world is a source of great cultural enrichment to this college and to the city. 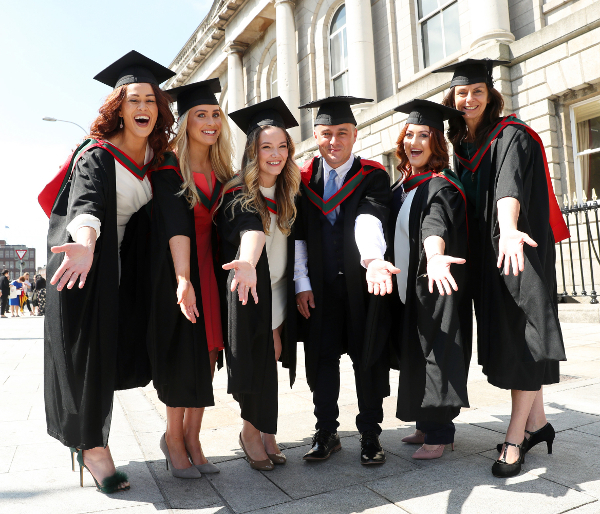 …Underlying this, RCSI’s international dimension is, and is recognised to be part of the strength of the College, adding to the quality and depth of its educational offering”. The Chancellor conferred the NUI degree of Doctor of Medicine (DMed) on Published Work on Professor Michael Solomon, Professor of Surgery at the University of Sydney, who is an honorary fellow and alumnus of RCSI. The DMed is the highest qualification in medicine awarded by NUI, signifying scholarship of international distinction. The body of published work for which he was awarded the degree comprises over 250 peer-reviewed publications in the field of minimally invasive colorectal cancer. His international distinction and influence in this field are evidenced by over 10,000 citations. RCSI also conferred an Honorary Doctorate Award on physician, oncologist, and Pulitzer Prize-winning author Dr Siddhartha Mukherjee. Dr Manning commented on Dr Mukerjee’s significant work in “cancer research which has deepened our understanding of the disease and its causes and enabled more effective treatment. In health terms, I think many would regard cancer as the scourge of our age and we have reason to be grateful for the work of brilliant researchers in this area”. Also awarded an Honorary Doctorate was RCSI alumna and world-renowned transplant nephrologist and immunology researcher, Professor Barbara Murphy. Dr Manning expressed his “deepest admiration” for Professor Murphy, saying that “her contribution to medicine and medical research, specifically in the field of Renal Transplantation, has been remarkable. The many sufferers, both in the US and beyond, who have benefitted from her work have reason to be grateful to her. For today’s graduates, about to embark on careers in medicine, she offers inspiration and motivation”. The Royal College of Surgeons in Ireland has been a recognised college of the National University of Ireland for over forty years and is ranked in the top 250 institutions of education worldwide in the Times Higher Education World University Rankings (2018).